Photo credit: Hajime Nakano (left), iStock (right). The longstanding and serious arms race between iconic appellations in the Rhône Valley—Cornas, Condrieu, Côte Rôtie, and Hermitage in the north, and the cru villages of Châteauneuf-du-Pape in the south—means that nearly a dozen other appellations in the region have long been overshadowed. Even the sea of more generic Côtes du Rhône wines garner more attention. This means that some of the Rhône’s most compelling AOCs for quality, value-driven wines that also happen to deliver in elegance, complexity, and longevity are left behind. The greatest of these is the one located the furthest south: Costières de Nîmes. Southeast of the city of Nîmes (home to one of the only three-tiered Roman aqueducts still standing—Pont du Gard), and sandwiched between the valley of the Gardon and the Mediterranean, Costières de Nîmes extends over more than 40 kilometers, from the low-lying plain of the Petit Rhône to the marshlands of the Petite Camargue. 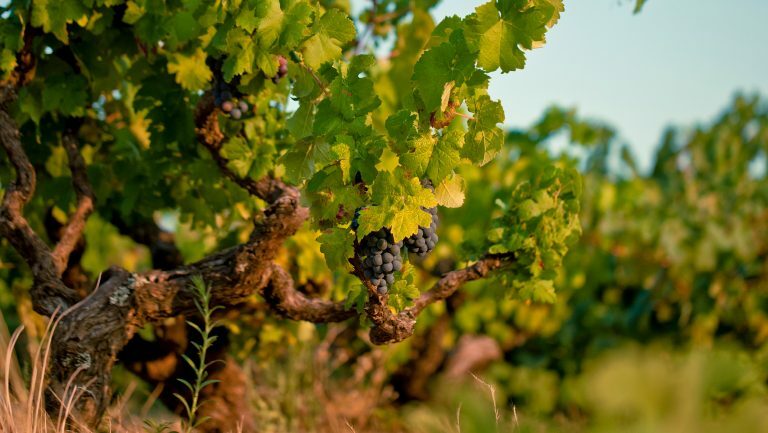 While the AOC is a recent addition to the Rhône—adopted from the Languedoc only in 2004—it has a long history of wine production, dating to 500 BC, when the Greeks first planted vines. They were followed by the Romans, who continued to cultivate the land. And as early as the 14th century, records show that wines from the Costières de Nîmes were stocked and consumed at the papal court in Avignon. As with much of the southern Rhône, Costières de Nîmes is known for its blends. The majority are red wines, accounting for 55 percent of overall production, with rosé constituting another 35 percent. Both styles require a blend of Grenache, Syrah, and Mourvèdre, which must make up 60 percent of the wines, with the remainder comprising Carignan and Cinsault. (Note: The proportion of any of the required varieties of the GSM blend may vary, and in more recent years the blend has excluded Carignan and Cinsault altogether.) The appellation allows for rosés to include up to 10 percent of regional white varieties, like Grenache Blanc, Roussanne, and Marsanne. 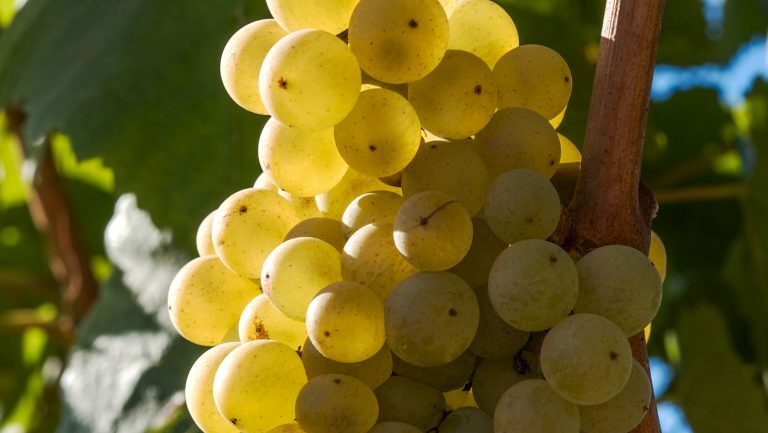 Other whites, including Bourboulenc, Clairette, Vermentino, and Viognier, are also planted there. Those who have an affinity for the legendary wines of Châteaneuf-du-Pape have come to revere Grenache as the standard-bearer for the southern Rhône, but in Costières de Nîmes, it’s actually Syrah that pulls more weight; half of the red grapes planted there are Syrah. This tidbit may give pause to some, considering that the great Syrah wines of the Rhône Valley come from the iconic AOCs of the northern Rhône, but to overlook its baby sister to the south would be a shame. The Syrah-based wines of Costières de Nîmes offer quality, value, and sheer deliciousness. They’re bold yet precise, elegant yet profound. And the fact that most of the top-tier offerings are available for less than $30 makes them even more appealing. The region’s soils are made up of flinty alluvial pebbles called grés, found at depths between 5 and 15 meters below the surface, beneath which is a layer of clay that affords the deep roots a steady supply of water and coolness that aids in the maturing of the grapes. At the surface, larger oval stones commonly known as galets rouges, similar to those in Châteauneuf-du-Pape and Lirac, allow for sufficient drainage during the typically rainy fall season. In the summer heat, they create an “oven effect,” storing daytime heat and reflecting it onto the vines in the evening hours, which helps along the ripening. In the summer, when the Mediterranean Sea breezes meet the warm air mass above the pebbly terraces, the convection effect is amplified, creating a wide temperature disparity between day and night—sometimes a swing of 30 degrees. The proximity to the sea is what gives the wines from this region their distinct brightness and vibrant acidity—a definitive hallmark, especially in the often very hot southern Rhône. To understand the energy behind the wines, all one needs to do is hike through the vineyards of Château Mourgues de Grès in Beaucaire. 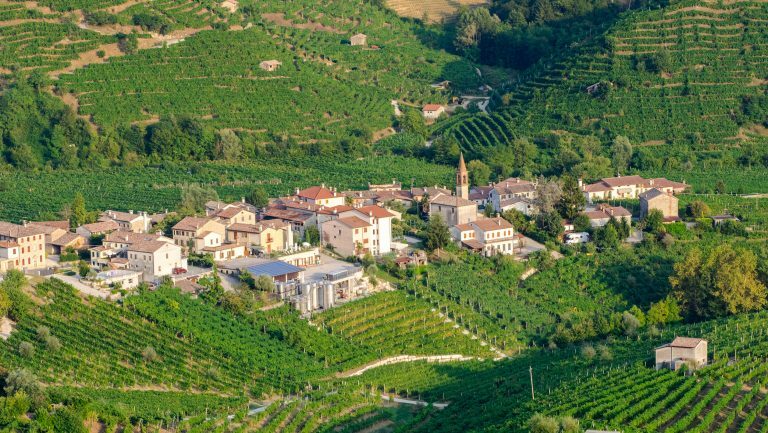 Here, along stony trails that skirt an enormous ancient Roman archaeological dig, the terrain reveals rugged ravines displaying the full soil substrata underlying the hillside vineyards. Climb the southern-facing slopes in late spring to feel the force of the famed mistral wind; from the vineyard’s highest point, you can just make out the Mediterranean Sea not 25 miles away. 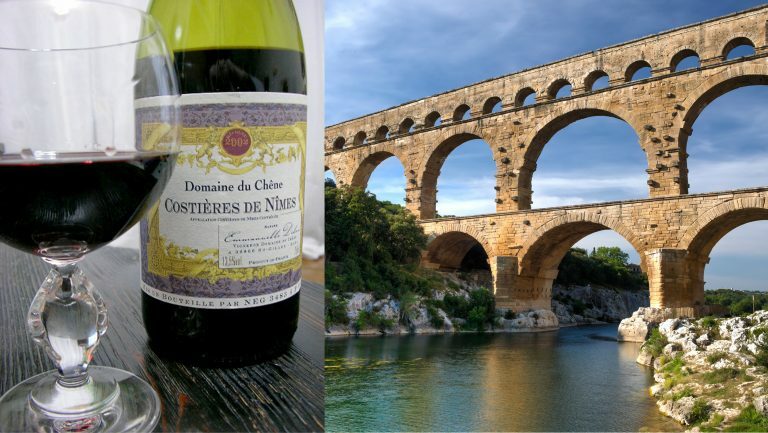 It’s that proximity to which owner and winemaker François Collard attributes most of the distinctive character of the Costières de Nîmes. Though Collard grows the customary five red grape varieties, he has a special connection with Syrah, which is evident in wines such as the 2013 Terre d’Argence, a red blend dominated by Syrah. A simple swirl of the glass offers notes of rich, black-and-blue fruit, dried fig and lavender, and a persistent tickling of black pepper. Though rich and voluptuous, the wine feels remarkably light and nimble, a bit of an anomaly for a wine with 14.5 percent alcohol. A wine with this vibrance and finesse could easily command fetch $50 in the U.S. market but remarkably averages about $13 on the shelf. Château de Nages owner and winemaker Michel Gassier echoes Collard’s Syrah sentiments. A native of Costières de Nîmes, Gassier gracefully bounces between French and English (which he speaks with a flawless midwestern American accent, thanks to a few years in Chicago for a sales and marketing career). Now settled back in the region of his birth and managing operations and winemaking for his family’s four-generation estate, as well as for his own separate label, Gassier places great emphasis on low-intervention practices such as native yeast fermentation, use of whole-cluster Syrah, and aging without oak to push greater richness of fruit and he uses little to no sulfur to allow the complexity of the wine to show through. Just a short drive to the southwest and only about 15 miles from the Mediterranean, Château d’Or et de Gueules is a newer estate that is certified organic and managed completely with solar energy. Here the owner and winemaker, Diane de Puymorin, fell so in love with the appellation that she left a corporate job in Paris to purchase the estate in 1998. For her, Syrah is a definite star, but surprisingly, she says that Mourvèdre is a close second. Jérôme Castillon of Château l’Ermitage is a Mourvèdre fan, too. 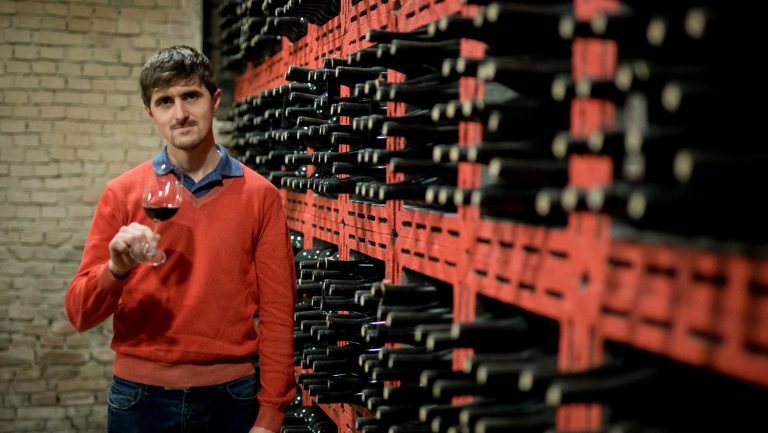 Mild-mannered yet confident, Castillon recently took over the reins from his father at his family’s estate. A humility about his wines is belied by a flare of pride that shines through particularly when he talks about Mourvèdre. 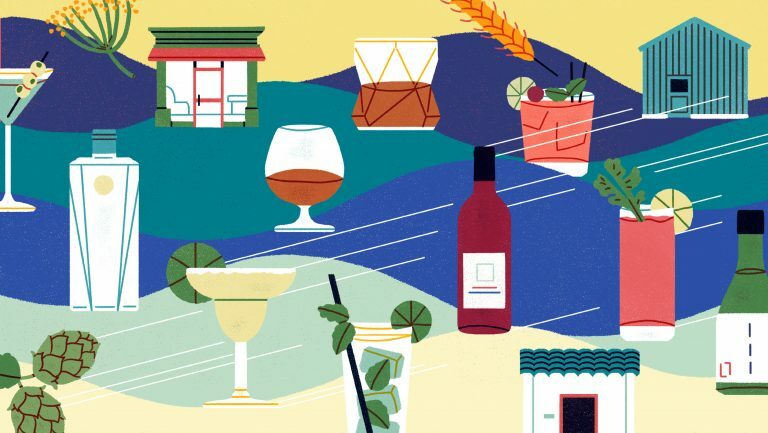 Because the region is still quite unknown to the general consumer, unlike Châteauneuf-du-Pape and Bandol, the challenge for many producers is to make people aware of the amazing value flying way below the radar. That the wines happen to be easy to drink young and are offered at a low price are two aces in the hole.